Ms. Mercy Kwambai recounts how the Miss.Africa Seed Fund Sponsorship enabled her attain one of her dream and greatest goal in her ICT career. 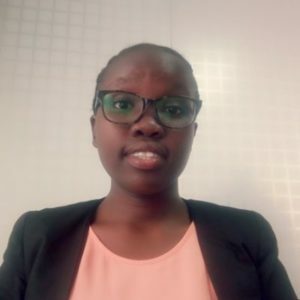 My name is Mercy Kwambai, a second year student at the University of Nairobi, Kenya, pursuing a degree in Computer Science. I was a lucky to be a beneficiary of eMobilis mobile App training sponsored by Miss.Africa Seed Funding. I would like to thank Miss.Africa for the opportunity to learn and be challenged in my knowledge and development skills. I had always wanted to attend eMobilis to do the course but lacked funds to facilitate my training. When the opportunity came I was excited. I cannot thank the Miss.Africa Team enough for the chance I got. At the training, I was able to learn web programming and mobile software development which enabled me develop an interest in mobile development industry, which I am currently dedicated into. I got a chance to understand all the basic and the core skills required for one to be an android developer. Besides gaining the knowledge, I felt challenged of the involvement of women in technology through the opportunity. I as well got a chance to learn and draw inspiration from one of the speakers, Mercy Orangi of Google Kenya, who attended our sessions in class. Her talk inspired me and I am always encouraged to do my best as a woman in technology. The future of women in technology in Africa is promising.